Quick trip to WalMart for hangers & vacuum belts. 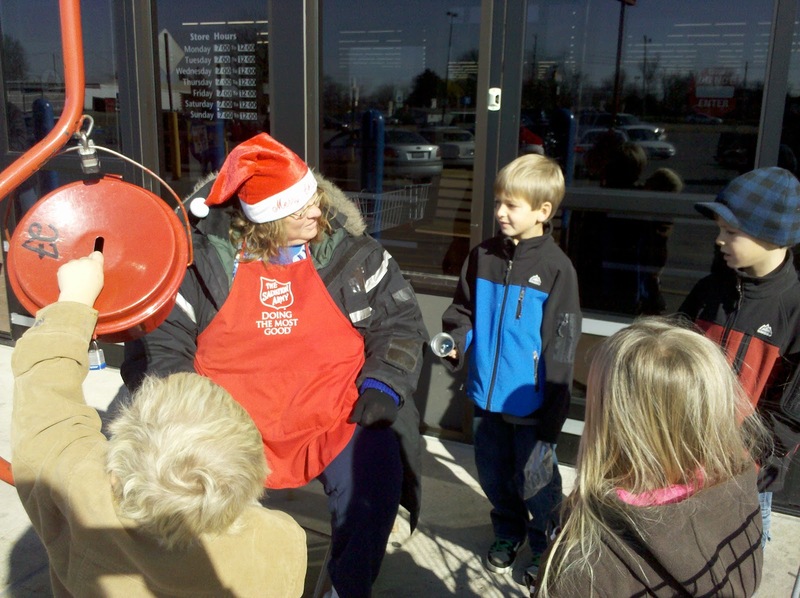 On our way out my children rang the bell & sang Jingle Bells with this friendly lady. Two little side notes: #1 I gave away over one hundred hangers when we went on the road, now I've had to buy them all again, oh how I love being able to hang more than just jackets; #2 The friendly Salvation Army lady asked my children to sing "Rudolph the Red Nosed Reindeer" with her, to which Aidan replied, we don't know that song, but we know songs about Jesus, like "Silent Night", to which she replied, "how about Jingle Bells?" I laughed.